InLoox is celebrating! 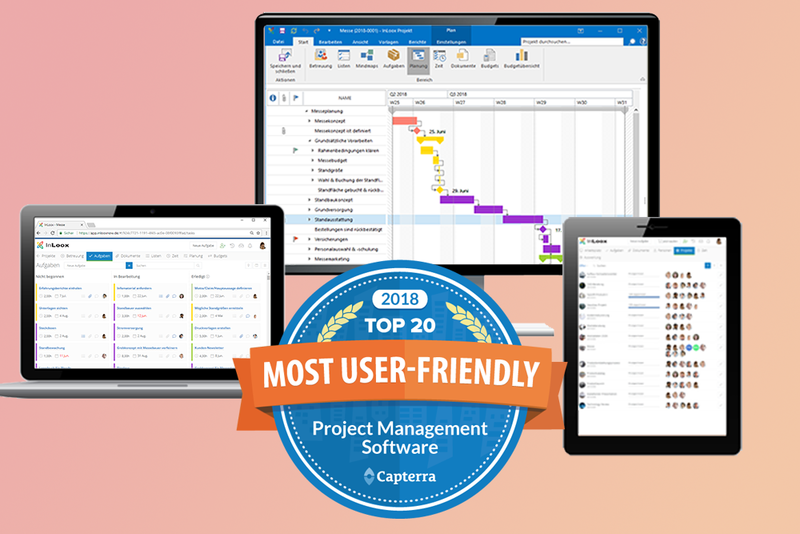 Capterra tested our project management software and we’re proud to announce that we made the list of the Top 20 Most User-Friendly PM software! Here is how we performed. Capterra is the leading online resource for business software buyers. Founded in 1999, Capterra features validated user reviews and independent research across hundreds of software categories. From Accounting to Yoga Studio management, Capterra covers it all. Each month, Capterra helps more than three million buyers find the right software. For more information, visit capterra.com. Top 20 Most User-Friendly Project Management Software is an independent assessment that scores products based on their overall usability, customer service and user reviews published on Capterra’s website. We are excited, though not surprised, to have made the list. Also, Capterra conducted the SUS-test – a questionnaire that measures perceived ease of use. Customer service was checked taking into account the implementation (number of configuration options offered), training (number of resources offered) and support (number of services offered). Furthermore, the number of user reviews and scores gathered from across all Gartner Digital Markets were taken into account, considering ease of use and customer service. We did well in two categories but we exceeded when it comes to user reviews (19/20 points)! Overall, we reached 74 out of 100 points! A big thank you to Capterra for the good placement! See you in the Top 10 next year! InLoox is Officially One of the 20 Most User-Friendly Project Management Software! - InLoox • Copyright 1999-2019 © InLoox, Inc. All rights reserved.